Brady, T.F., Störmer, V.S., Shafer-Skelton, A., Williams, J.R., Chapman, A.F., Schill, H. (in press). Scaling up visual attention and visual working memory to the real world. Psychology of Learning and Motivation, 70. PDF. Brady, T. F., Alvarez, G., and Störmer, V. (2019). The role of meaning in visual memory: Face-selective brain activity predicts memory for ambiguous face stimuli. Journal of Neuroscience, 39 (6) 1100-1108; DOI: https://doi.org/10.1523/JNEUROSCI.1693-18.2018. Preprint. PDF. Shafer-Skelton, A. and Brady, T.F. (2019). Scene priming relies primarily on low-level features rather than scene layout. Journal of Vision, 19 (14), doi:10.1167/19.1.14. Preprint. PDF. Chunharas, C., Rademaker, R. L., Sprague, T. C., Brady, T.F., and Serences, J. (2019). Separating memoranda in depth increases visual working memory performance. Journal of Vision, 19(4), doi:10.1167/19.1.4. Preprint. PDF. Lau, J. S. and Brady, T.F. (2018). Ensemble Statistics Accessed through Proxies: Range Heuristic and Dependence on Low-Level Properties in Variability Discrimination. Journal of Vision, 18(3), doi:10.1167/18.9.3. Preprint. PDF. Schachner, A., Brady, T. F., Oro, K., and Lee, M. (2018). Intuitive Archeology: Detecting social transmission in the design of artifacts. In C. Kalisch, M. Rau, T. Rogers, & J. Zhu, Proceedings of the 40th Annual Conference of the Cognitive Science Society, pg. 1037-1042. Preprint. Finzi, R.D., Postle, B.R., Brady, T. F., and Aron, A.R. (2018). Unexpected events disrupt visuomotor working memory and increase guessing. Psychonomic Bulletin & Review. Carr, E., Brady, T. F., and Winkielman, P. (2017). Are you smiling or have I seen you before? Familiarity makes faces look happier. Psychological Science., 28(8), 1087-1102. PDF. Brady, T. F., Shafer-Skelton, A., and Alvarez, G.A. (2017). Global ensemble texture representations are critical to rapid scene perception. Journal of Experimental Psychology: Human Perception and Performance, 43(6), 1160-1176. PDF. De Brigard, F., Brady, T.F., Ruzic, L. and Schacter, D.L. (2017). Tracking the emergence of memories: A category-learning paradigm to explore schema-driven recognition. Memory and Cognition, 45(1), 105-120. PDF. Brady, T. F., Störmer, V., and Alvarez, G. A. (2016). Working memory is not fixed capacity: More active storage capacity for real-world objects than simple stimuli. Proceedings of the National Academy of Sciences, 113(27), 7459-7464. PDF. Brady, T. F. and Alvarez, G.A. (2015). Contextual effects in visual working memory reveal hierarchically structured memory representations. Journal of Vision, 15(15):6. PDF. Open Access on JoV website. Brady, T. F. and Alvarez, G.A. (2015). No evidence for a fixed object limit in working memory: Ensemble representations inflate estimates of working memory capacity for complex objects. Journal of Experimental Psychology: Learning, Memory and Cognition, 41(3), 921-9. PDF. Haberman, J., Brady, T. F. and Alvarez, G.A. (2015). Individual differences in ensemble perception reveal multiple, independent levels of ensemble representation. Journal of Experimental Psychology: General, 144(2), 432-446. PDF. Suchow, J. W.*, Brady, T. F.*, Fougnie, D. and Alvarez, G. A. (2013). Modeling visual working memory with the MemToolbox. Journal of Vision, 13(1), 9. PDF. Download MemToolbox. * = authors contributed equally. Brady, T. F., Konkle, T.F., Gill, J., Oliva, A. and Alvarez, G.A. (2013). Visual long-term memory has the same limit on fidelity as visual working memory. Psychological Science, 24(6), 981-990. PDF. Brady, T. F., and Tenenbaum, J.B. (2013). A probabilistic model of visual working memory: Incorporating higher-order regularities into working memory capacity estimates. Psychological Review, 120(1), 85-109. PDF. Brady, T. F., and Oliva, A. (2012). Spatial frequency integration during active perception: Perceptual hysteresis when an object recedes. Frontiers in Perception Science, 3 (462), doi: 10.3389/fpsyg.2012.00462. PDF. Open Access on Frontiers website. Brady, T. F. and Alvarez, G.A. (2011). Hierarchical encoding in visual working memory: ensemble statistics bias memory for individual items. Psychological Science, 22(3), 384-392. PDF. Brady, T. F., Fougnie, D., and Alvarez, G.A. (2011). Comparisons between different measures of working memory capacity must be made with estimates that are derived from independent data [Response to Anderson et al.] Journal of Neuroscience, Oct. 14th. Paper. Park, S., Brady, T. F., Greene, M.R., and Oliva, A. (2011). Disentangling scene content from spatial boundary: Complementary roles for the PPA and LOC in representing real-world scenes. Journal of Neuroscience, 31(4), 1333-1340. PDF. Brady, T. F. and Tenenbaum, J.B. (2010). Encoding higher-order structure in visual working memory: A probabilistic model. In S. Ohlsson & R.Catrambone (Eds. ), Proceedings of the 32nd Annual Conference of the Cognitive Science Society (pp. 411-416). Austin, TX: Cognitive Science. PDF. Konkle, T., Brady, T. F., Alvarez, G. A. and Oliva, A. (2010). Conceptual distinctiveness supports detailed visual long-term memory for real-world objects. Journal of Experimental Psychology: General, 139(3), 558-78. PDF. Brady, T. F. and Alvarez, G. A. (2010). Ensemble statistics of a display influence the representation of items in visual working memory. Visual Cognition, 18 (1), 114-118. PDF. Brady, T. F., Konkle, T., and Alvarez, G. A. (2009). Compression in visual working memory: using statistical regularities to form more efficient memory representations. Journal of Experimental Psychology: General, 138(4), 487-502. PDF. Junge, J. A., Brady, T. F. and Chun, M. M. (2009). The contents of perceptual hypotheses: evidence from rapid resumption of interrupted visual search. Attention, Perception & Psychophysics, 71, 681-689. PDF. Schachner, A., Brady, T. F., Pepperberg, I. and Hauser, M. (2009). Spontaneous motor entrainment to music in multiple vocal mimicking species. Current Biology, 19(10), 831-836. Sample videos of birds dancing. PDF. Brady, T. F., Konkle, T., Oliva, A. and Alvarez, G. A. (2009). Detecting changes in real-world objects: The relationship between visual long-term memory and change blindness. Communicative & Integrative Biology, 2:1, 1-3. Open Access on CIB website. PDF. Brady, T. F., Konkle, T., Alvarez, G. A. and Oliva, A. (2008). Visual long-term memory has a massive storage capacity for object details. Proceedings of the National Academy of Sciences, USA, 105 (38), 14325-14329. Open Access on PNAS website. Stimuli and Demos. PDF. Brady, T. F., Konkle, T., and Alvarez, G. A. (2008). Efficient coding in visual short-term memory: Evidence for an information-limited capacity. In B. C. Love, K. McRae, & V. M. Sloutsky (Eds. ), Proceedings of the 30th Annual Conference of the Cognitive Science Society (pp. 887-892). Austin, TX: Cognitive Science Society. PDF. Brady, T. F. and Oliva, A. (2008). Statistical learning using real-world scenes: extracting categorical regularities without conscious intent. Psychological Science, 19(7), 678-685. PDF. Brady, T. F. and Chun, M. M. (2007). Spatial constraints on learning in visual search: Modeling contextual cueing. Journal of Experimental Psychology: Human Perception & Performance, 33(4), 798-815. PDF. Carr, E., Brady, T. F., Winkielman, P. (2017). Are you smiling or have I seen you before? Familiarity makes faces look happier. Poster presented at the Annual Meeting of the Society for Personality and Social Psychology, San Antonio, TX. Brady, T. F. (2017). The role of spatial ensemble statistics in visual working memory and scene perception. Talk presented at the 17th Annual Meeting of the Vision Sciences Society, St. Pete Beach, FL. Brady, T. F. (2017). Proactive interference results from visual working memory, not just traces left over in visual long-term memory. Talk presented at the 17th Annual Meeting of the Vision Sciences Society, St. Pete Beach, FL. Sbeiti, M., Brady, T. F., & Fougnie, D. (2017). Reconsidering the focus of attention: Cued items contain more information but are not more accessible. Poster presented at the 17th Annual Meeting of the Vision Sciences Society, St. Pete Beach, FL. Chunharas, C., Rademaker, R.L., Sprague, T.C., Brady, T. F., Serences, J. (2017). Remembering stimuli in different depth planes increases visual working memory precision and reduces swap errors. Poster presented at the 17th Annual Meeting of the Vision Sciences Society, St. Pete Beach, FL. Utochkin, I., & Brady, T. F. (2017). Binding errors in long-term memory: Independent storage of different features of real-world objects. Talk presented at the 17th Annual Meeting of the Vision Sciences Society, St. Pete Beach, FL. Brady, T. F. (2016). Visual working memory relies on separate viewpoint-specific ensemble and viewpoint-invariant object representations in visual working memory. Talk presented at the 16th Annual Meeting of the Vision Sciences Society, St. Pete Beach, FL. Fougnie, D., Kanabar, A., Brady, T. F., & Alvarez, G. A. (2016). Asymmetric confidence judgements show hidden information in working memory. Talk presented at the 16th Annual Meeting of the Vision Sciences Society, St. Pete Beach, FL. Sbeiti, M., Brady, T. F., & Fougnie, D. (2016). Reconsidering the focus of attention:Cued items contain more information but are not more accessible. Poster presented at Object, Perception, Attention and Memory conference (OPAM), Boston, MA. Brady, T. F., Schacter, D.L., & Alvarez, G. A.(2015). The adaptive nature of false memories is revealed by gist-based distortion of true memories. Poster presented at the 15th Annual Meeting of the Vision Sciences Society, St. Pete Beach, FL. Fougnie, D., Kanabar, A., Brady, T. F., & Alvarez, G. A. (2015). Using a betting game to directly reveal the rich nature of visual working memories. Talk presented at the 15th Annual Meeting of the Vision Sciences Society, St. Pete Beach, FL. Brady, T. F., Störmer, V., & Alvarez, G. A.(2015). The Role of Meaning in Visual Memory: The N170 Predicts Memory for Ambiguous Mooney Faces. Talk presented at the Annual Meeting of the Psychonomic Society, Chicago, IL. Fougnie, D., Kanabar, A., Brady, T. F., & Alvarez, G. A. (2015). Using a betting game to directly reveal the rich nature of visual working memories. Talk presented at the Annual Meeting of the Psychonomic Society, Chicago, IL. Brady, T. F., Shafer-Skelton, A., & Alvarez, G. A.(2014). Sensitivity to spatial ensemble statistics predicts rapid scene perception ability. Talk presented at the Annual Workshop on Object Perception, Attention and Memory, Long Beach, CA. Brady, T. F., Störmer, V., & Alvarez, G. A.(2014). Working memory accumulates more information from real-world objects than from simple stimuli: Evidence from contralateral delay activity. Talk presented at the 14th Annual Meeting of the Vision Sciences Society, St. Pete Beach, FL. Fougnie, D., Brady, T. F. & Alvarez, G. A.(2014). If at first you don’t retrieve, try, try again: The role of retrieval failures in visual working memory. Poster presented at the 14th Annual Meeting of the Vision Sciences Society, St. Pete Beach, FL. Shafer-Skelton, A., Brady, T. F. & Alvarez, G. A.(2014). Sensitivity to spatial ensemble statistics predicts rapid scene perception ability. Poster presented at the 14th Annual Meeting of the Vision Sciences Society, St. Pete Beach, FL. Haberman, J., Brady, T. F. & Alvarez, G. A.(2014). Independent ensemble processing mechanisms for high-level and low-level perceptual features. Talk presented at the 14th Annual Meeting of the Vision Sciences Society, St. Pete Beach, FL. Brady, T. F., Störmer, V., & Alvarez, G. A.(2014). Working memory accumulates more information from real-world objects than from simple stimuli: Evidence from contralateral delay activity. Poster presented at the Annual Meeting of the Cognitive Neuroscience Society, Boston, MA. Brady, T. F., Schacter, D. L., & Alvarez, G. A.(2014). The Adaptive Nature of False Memories is Revealed by Gist-based Distortion of True Memories. To be presented at the Annual Meeting of the Psychonomics Society, Long Beach, CA. Brady, T. F., Störmer, V., & Alvarez, G. A.(2014). Working memory accumulates more information from real-world objects than from simple stimuli: Evidence from contralateral delay activity. To be presented at the Annual Meeting of the Society for Neuroscience, Washington, DC. Alvarez, G. A., Brady, T. F., Fougnie, D. & Suchow, J. (2013). Beyond Slots vs. Resources. Talk presented at the 13th Annual Meeting of the Vision Sciences Society, Naples, FL. Brady, T. F. & Alvarez, G. A.(2013). Ensemble representations inflate estimates of working memory capacity. Talk presented at the 13th Annual Meeting of the Vision Sciences Society, Naples, FL. Brady, T. F. & Alvarez, G. A. (2012). The problem with slot and resource models: Visual working memory is not limited only by the number of individual items. Poster presented at the Portland Working Memory Conference, Portland, OR. Brady, T. F., Suchow, J., Fougnie, D. & Alvarez, G. A. (2012). MemToolbox: A MATLAB toolbox for analyzing visual working memory experiments. Poster presented at the Portland Working Memory Conference, Portland, OR. Rhee, J., Konkle, T., Brady, T. F. & Alvarez, G. A. (2012). Does memory enhancement training alter perceptual representations? Poster presented at the 12th Annual Meeting of the Vision Sciences Society, Naples, FL. Brady, T. F. & Alvarez, G. A. (2012). Structured representations in visual working memory: Using results from individual displays to constrain cognitive theory. Poster presented at the 12th Annual Meeting of the Vision Sciences Society, Naples, FL. Brady, T. F. (2012). The fidelity of visual memory. Talk presented at Cognition, Brain & Behavior Research Seminar, Harvard University. Brady, T. F. (2011). Structured representations in visual working memory: Using individual displays to constrain cognitive theory. Talk presented at Rovereto Attention Workshop (RAW), Rovereto, Italy. Brady, T. F. (2011). Structured representations in visual working memory. Talk presented at Cognition, Brain & Behavior Research Seminar, Harvard University. Brady, T. F. (2011). Trial-by-trial variance in visual working memory capacity estimates as a window into the architecture of working memory. Poster presented at the 33rd Annual Meeting of the Cognitive Sciences Society, Boston, MA. Brady, T. F., Konkle, T., Alvarez, G. A., & Oliva, A. (2011). Are real-world objects represented as bound units? Independent decay of object details from short-term to long-term memory. Poster presented at the 11th Annual Meeting of the Vision Sciences Society, Naples, FL. Rhee, J., Konkle, T., Brady, T. F. & Alvarez, G. A. (2011). Learning statistical regularities speeds the encoding of information into working memory. Poster presented at the 11th Annual Meeting of the Vision Sciences Society, Naples, FL. Brady, T. F. (2011). Trial-by-trial variance in visual working memory capacity estimates as a window into the architecture of working memory. Talk presented at Visual Attention Seminar Series, Spring 2011. Brady, T. F. & Tenenbaum, J.B. (2010). Hierarchical encoding in visual working memory. Talk presented at the 10th Annual Meeting of the Vision Sciences Society, Naples, FL. Alvarez, G. A. & Brady, T. F. (2010). 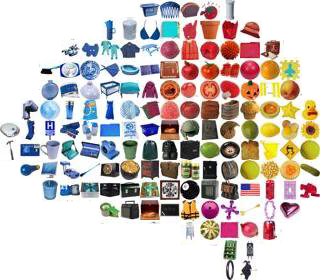 Ensemble statistics influence the representation of items in visual working memory. Poster presented at the 10th Annual Meeting of the Vision Sciences Society, Naples, FL. Brady, T. F. & Tenenbaum, J.B. (2010). Encoding higher-order structure in visual working memory: A probabilistic model. Talk presented at the 32nd Annual Meeting of the Cognitive Science Society, Portland, OR. Schachner, A., Brady, T. F., and, Hauser, M.D. (2009). Good vocal mimics are also good entrainers: Individual differences suggest a shared mechanism for entrainment and vocal mimicry. Presented at the Society for Music Perception and Cognition, Indianapolis, IN. Brady, T. F. (2009). Hierarchical encoding in visual working memory. Talk presented at MIT Cognitive Lunch. Oliva, A., Brady, T. F., Konkle, T., & Alvarez, G. A. (2009). Remembering Thousands of Images with High Fidelity. Talk presented at the Annual Meeting of the Psychonomics Society, Boston, MA. Brady, T. F., Vul, E., & Tenenbaum, J.B. (2009). Probabilistic models of change detection and multiple object tracking: How is working memory allocated in attentionally demanding tasks? Poster presented at the Annual Meeting of the Psychonomics Society, Boston, MA. Brady, T. F., Konkle, T., and Oliva, A. (2009). Examining object representation via object memory: exemplar and state-level object properties are supported by the same underlying features. Poster presented at the 9th Annual Meeting of the Vision Sciences Society, Naples, FL. Park, S., Greene, M. R., Brady, T. F., and Oliva, A. (2009). Natural scene categorization by global scene properties: Evidence from patterns of fMRI activity. Talk presented at the 9th Annual Meeting of the Vision Sciences Society, Naples, FL. Alvarez, G. A., Konkle, T., Brady, T. F., Gill, J., and Oliva, A. (2009). Comparing the Fidelity of Perception, Short-term Memory, and Long-term Memory: Evidence for Highly Detailed Long-term Memory Representations. Talk presented at the 9th Annual Meeting of the Vision Sciences Society, Naples, FL. Oliva, A., Konkle, T., Brady, T. F., and Alvarez, G. A. (2009). The high fidelity of scene representation in visual long-term memory. Talk presented at the 9th Annual Meeting of the Vision Sciences Society, Naples, FL. Konkle, T., Brady, T. F., Alvarez, G. A. and Oliva, A. (2008). Remembering Thousands of Objects with High Fidelity. Invited talk at the University of Liège. Brady, T. F., Konkle, T., Alvarez, G. A. and Oliva, A. (2008). Remembering Thousands of Objects with High Fidelity. Poster presented at the European Conference on Visual Perception, Utrecht, the Netherlands. Brady, T. F., Konkle, T., & Alvarez, G. A. (2008). Efficient Coding in Visual Short-Term Memory: Evidence for an Information-Limited Capacity. Talk presented at the 30th Annual Conference of the Cognitive Science Society. Washington, DC. Schachner, A., Brady, T. F., Pepperberg, I., & Hauser, M. (2008). Spontaneous entrainment to auditory rhythms in vocal-mimicking bird species. Talk presented at Music, Language and the Mind, Medford, MA. Brady, T. F. (2008). Tracking Statistical Regularities to Form More Efficient Memory Representations. Talk presented at MIT Cognitive Lunch, Spring 2008. Schachner, A., Brady, T. F., Pepperberg, I., & Hauser, M. (2008). Spontaneous entrainment to auditory rhythms in vocal-learning bird species. Poster presented at The Neurosciences and Music III (Neuromusic), Montreal, Canada. Brady, T. F., Konkle, T., Alvarez, G. A., and Oliva, A. (2008). Compression in Visual Short-term Memory: Using Statistical Regularities to Form More Efficient Memory Representations. Poster presented at the 8th Annual Meeting of the Vision Sciences Society. Abstract published in the Journal of Vision, 8(6), pp. 199. Konkle, T., Brady, T. F., Alvarez, G. A. and Oliva, A. (2008). Remembering Thousands of Objects with High Fidelity. Talk presented at the 8th Annual Meeting of the Vision Sciences Society. Abstract published in the Journal of Vision, 8(6), pp. 694. Oliva, A. and Brady, T. F. (2008). Perceptual organization across spatial scales in natural images: Seeing more high spatial frequency than meet the eyes. Talk presented at the 8th Annual Meeting of the Vision Sciences Society. Abstract published in the Journal of Vision, 8(6), pp. 71. Konkle, T., Brady, T. F., Alvarez, G. A. and Oliva, A. (2008). Remembering Thousands of Objects with High Fidelity. Poster presented at the Second Annual Tufts University Conference on Emerging Trends in Behavioral, Affective, Social, and Cognitive Neurosciences, Medford, MA. Oliva, A., Alvarez, G. A., Konkle, T., & Brady, T. F. (2008). Remembering Thousands of Natural Images With High Fidelity. Talk presented at the Scene Understanding Symposium, MIT. Brady, T. F. (2008). Tracking Statistical Regularities to Form More Efficient Memory Representations. Talk presented at Visual Attention Seminar Series, Spring 2008. Brady, T. F. and Oliva, A. (2007). Perceptual Organization Across Spatial Scales In Natural Images. Talk presented at MIT Cognitive Lunch, Fall 2007. Brady, T. F., and Oliva, A. (2007). Statistical learning of temporal predictability in scene gist. Poster presented at the 7th Annual Meeting of the Vision Sciences Society. Abstract in the Journal of Vision, 7(9), pp. 1050. Brady, T. F. and Oliva, A. (2007). Automatic and implicit encoding of scene gist. Talk presented at the Scene Understanding Symposium, MIT, Spring 2007. Brady, T. F. and Chun, M. M. (2006). The effects of local context in visual search. Talk presented at MIT Cognitive Lunch, Fall 2006. Brady, T. F., Junge, J. A. and Chun, M. M. (2006). Local and global influences on hypothesis testing during rapidly resumed search. Poster presented at the 6th Annual Meeting of the Vision Sciences Society. Brady, T. F. and Chun, M. M. (2005). The effects of local context in visual search: a connectionist model and behavioral study of contextual cueing. Poster presented at the 5th Annual Meeting of the Vision Sciences Society. Abstract in the Journal of Vision, 5(8), pp. 860.